There was much talk this summer about Roger Federer’s newfangled move, the acronymic SABR (Sneak Attack By Roger), that chip-and-charge offensive the Swiss added to his already considerable arsenal in Cincinnati. 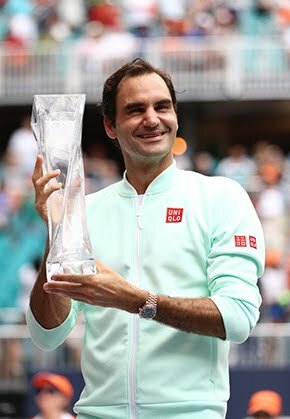 But what got lost in all the ballyhoo was that, some 17 years and 17 Grand Slams into his career, the 34-year-old was even willing to tweak his game at all. 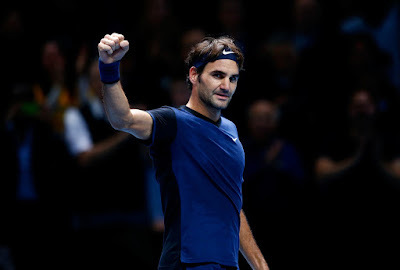 The benefits that come along with that openness to change were on display at the ATP World Tour Finals on Tuesday, when after four losses in six matches against World No. 1 Novak Djokovic in 2015, Federer reversed the trend, downing his longtime rival in straight sets 7-5, 6-2. Djokovic hadn’t lost a match in his previous 23 outings, a dominant stretch that included consecutive titles at the US Open, Beijing, Shanghai and Paris. “I think a tennis player never stops working on his game,” said Federer after the win. “Unfortunately, we don't have enough time to practise - a lot of match play, a lot of resting, a lot of preparing. In a perfect world, it would be great to have many more months to prepare, because you then could actually come back and be sort of a different player. Of course, it's our decision to take that time, but it's hard to sit on the sidelines for months when other guys are winning tournaments and your ranking is dropping in the process. 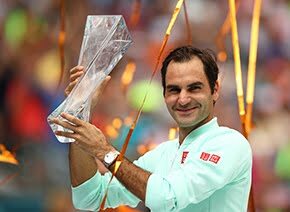 So in between events - he has played 17 in 2015 - he dabbles, he tweaks, he adds to his game, never quite satisfied with the status quo. Federer and Djokovic have now played 43 times, their ATP Head to Head history tracing all the way back to 2006. For now, it’s the Swiss who holds a slight 22-21 edge. But don’t hold your breath if you’re waiting on some complacency. He knows all too well how dangerous a player Djokovic can be. “I know it's a big win. Could help me for what's to come in this tournament, or at least for the next match it's going to give me a lot of confidence. It's going to help me for next year. It's always good beating Novak or any top player.